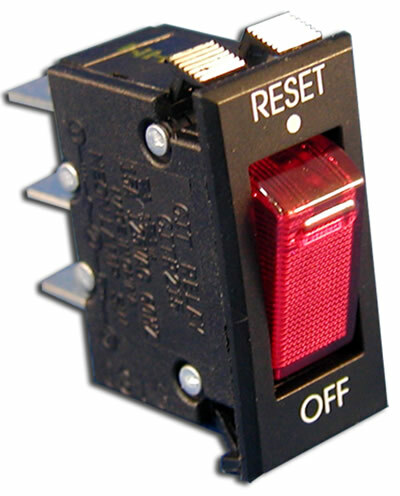 The CITR2 Series SPST switch features On-Off circuit breaker latching. Offering multiple colored actuators in both opaque or translucent options, the CITR2 Series 20A circuit breaker switch also offers actuator marking choices. 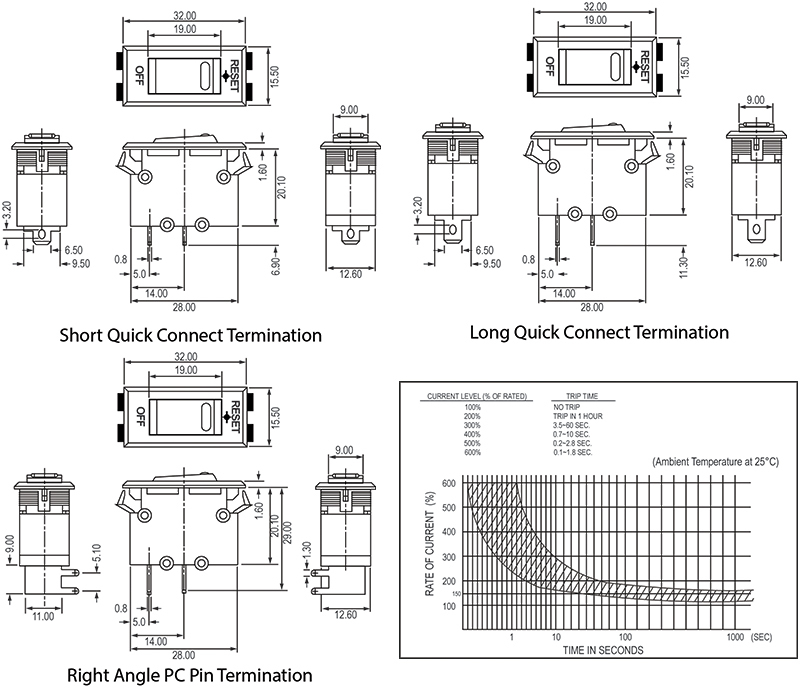 Both short or long quick connect terminal options are available. This panel mount switch features an illumination option with a 125VAC neon bulb that switches up to 20A.